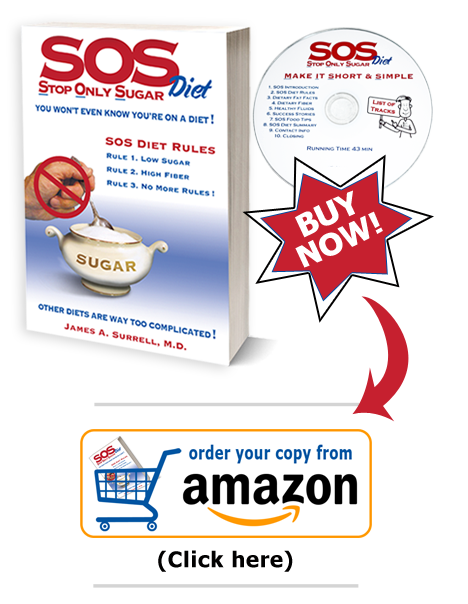 SOS Diet - Low Sugar High Fiber | Easy to Understand Diet Plan | Low Sugar Diet Plan | High Fiber Diet Plan | Where Can I Find the Easiest Diet Plan on the Web? This is the only thing you really need to know about fiber in your diet: Fiber is something you ingest that you cannot digest. Dietary fiber acts like a sponge to absorb fluid. Like everything else you eat or drink, the fiber in your food or drink first enters the stomach (receiving department), then passes through your small intestine (nutrition department), and enters the colon (waste disposal department). If there is excess fluid in the colon (diarrhea), the fiber absorbs the excess fluid in the colon and slows you down. If there is not enough fluid in the colon (constipation), the fiber absorbs and “hangs on” to the fluid in the food or drink you ingested, and this helps move the stool through the colon to correct the constipation. Therefore, because of the way fiber absorbs fluid, fiber will correct both diarrhea and constipation. Don’t think of fiber as just a laxative, because it is so much more than that. From this moment forward, you should think of fiber as a “bowel normalizer” that will correct both diarrhea and/or constipation, prevent colorectal cancer, help prevent diverticulitis, and treat Irritable Bowel Syndrome (IBS). 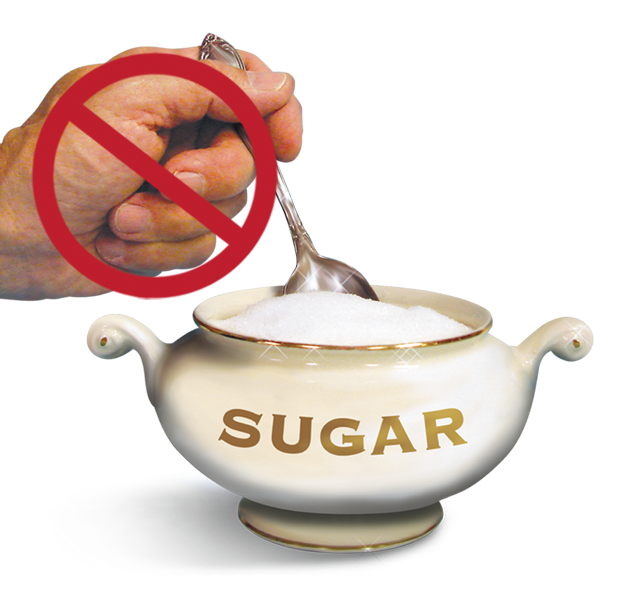 Further, by following a low-sugar, high-fiber diet, elevated blood cholesterol levels may be reduced by as much as 10 to 15%. 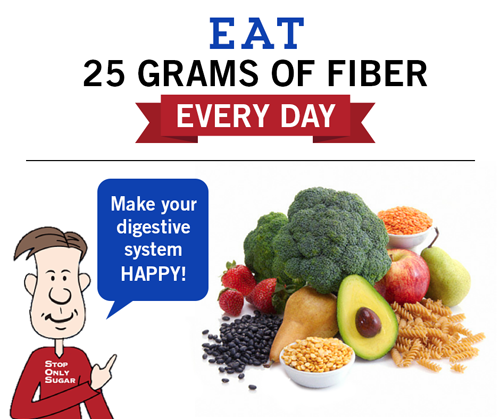 Truly, fiber is your friend! Learn more about the role of fiber in a low-sugar diet in Chapter 9, when you purchase your copy of the SOS Diet Book today.